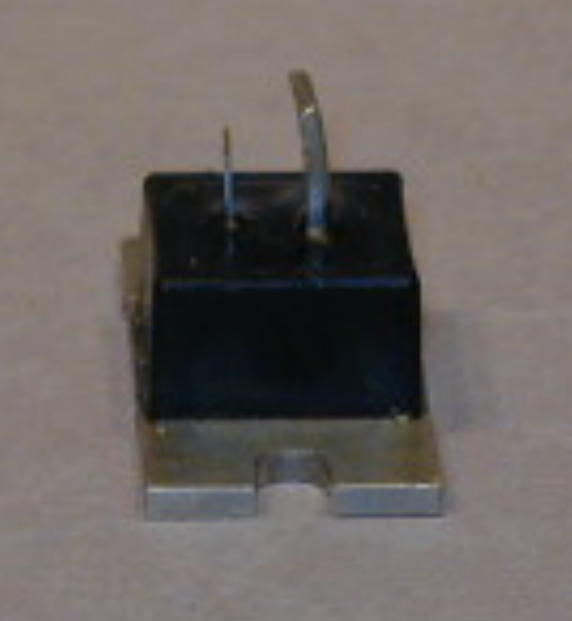 This item is an example of an experimental TI triac designed about 1972 in the Semiconductor Group for Control Products. 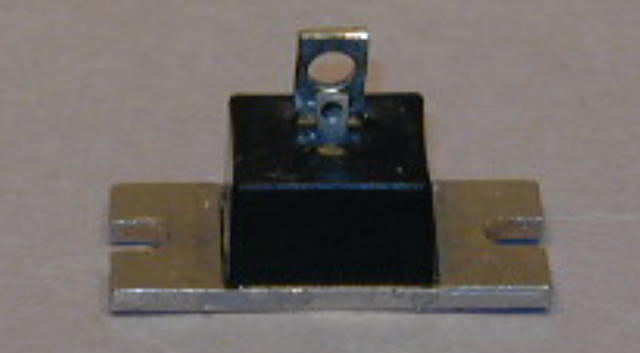 It was itended for use in a motor controller to switch power on and off. 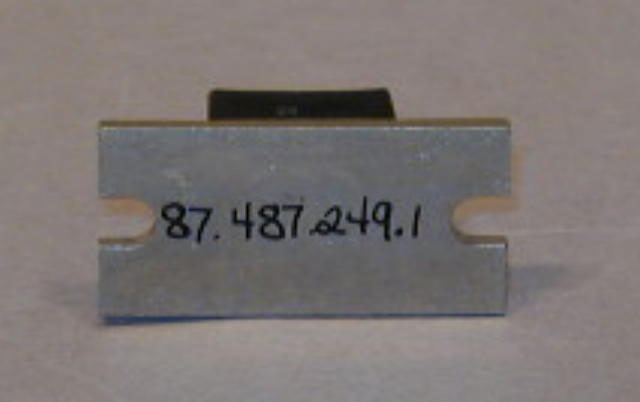 Cost and maximum voltage goals could not be met; therefore, the device was not put into production. However, the semiconductor process developments were useful for new device designs. A good distribution of 1300V and 45A units was attained compared to the requirement for 1500V. The active area was defined by a deep moat etch, and the chip was glass passivated on both sides.